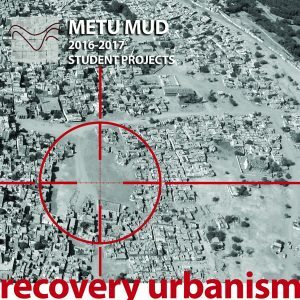 The Master of Urban Design (MUD) at METU is a graduate program consisting of one-year full-time intensive studio course in addition to the consecutive period of research thesis to receive MSc certificate. 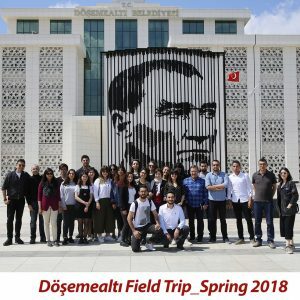 Following the first two semesters in which the design studio and supplementary courses are offered, the students are expected to work on their master’s thesis under the supervision of research advisor. 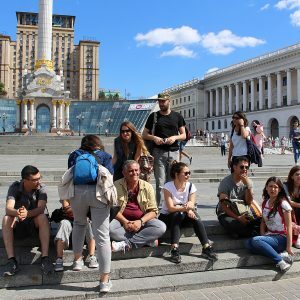 The primary aim of the program is to graduate prospective professionals with fundamental academic perspective and practical skills to comprehend, envision and program the space and form of the contemporary city for livable, efficient, responsive and just urban environments. 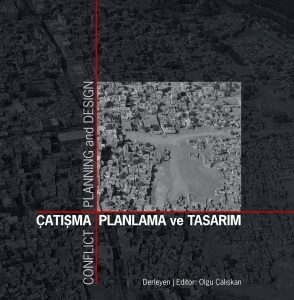 While the studio provides an an opportunity to students for developing the fundamental skills of design synthesis and communication, the dissertation period aims to enhance the basic knowledge and ability to conduct an individual research from a specific theoretical perspective on urban design. 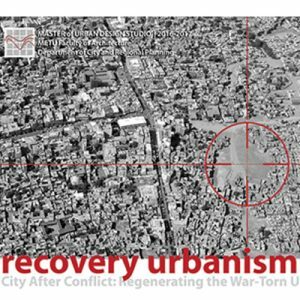 During the studio course, the students are trained to to tackle the intrinsic complexity of urban conditions based on a careful understanding of a wide range of issues including sociology, morphology, environmental psychology, ecology and economics through various levels of scale. In this context, they learn how to integrate social, cultural and political perspectives in design while making use of legal and administrative tools in real world situations. 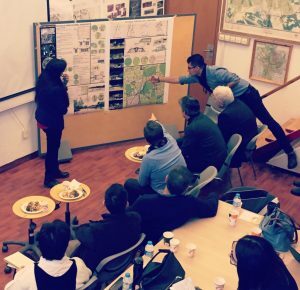 While the creative drive of imagination is encouraged to envision the new possibilities of future life patterns in cities, strategic perspective to design is aimed to develop in urban context. The studio is conducted with a relatively small group of students having different disciplinary backgrounds. 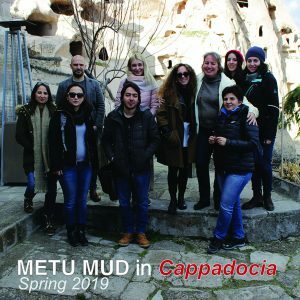 Through a combination of seminars, workshops, lectures and field trips and exhibitions, The MUD Studio offers a collaborative, intimate, engaged and creative learning environment and educational atmosphere for the students in an international context. 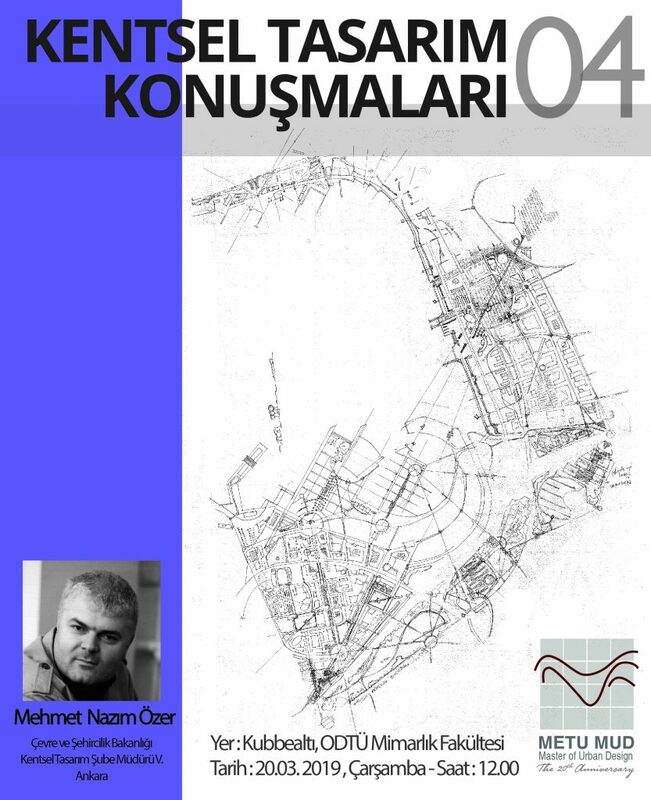 Based on the 20-year of expertise in education of urban design, METU MUD is currently in the search for pursuing a dynamic programming for ‘advanced urban design research’. In this context, the design process is considered as the primary mean of research itself. Meaning critical inquiry through exploring possible alternatives, research-by-design is taken as the way by which the design studio could act as a research platform where research is done by design. 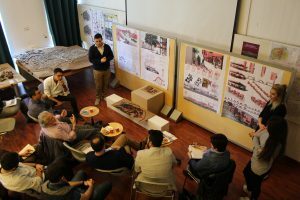 To conduct the studio course as a creative research domain, the design methods and concepts are regarded as the main target, rather than the particular design solutions suggested by the narrow specificity of ‘project’. 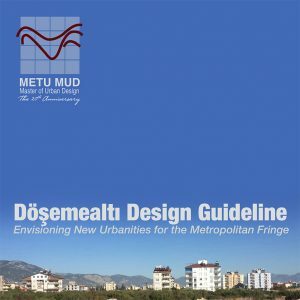 The universality of the method (model and frameworks) and the generosity of the concept (vocab and precepts), in this sense, are seen as the fundamentals of design knowledge by the program. 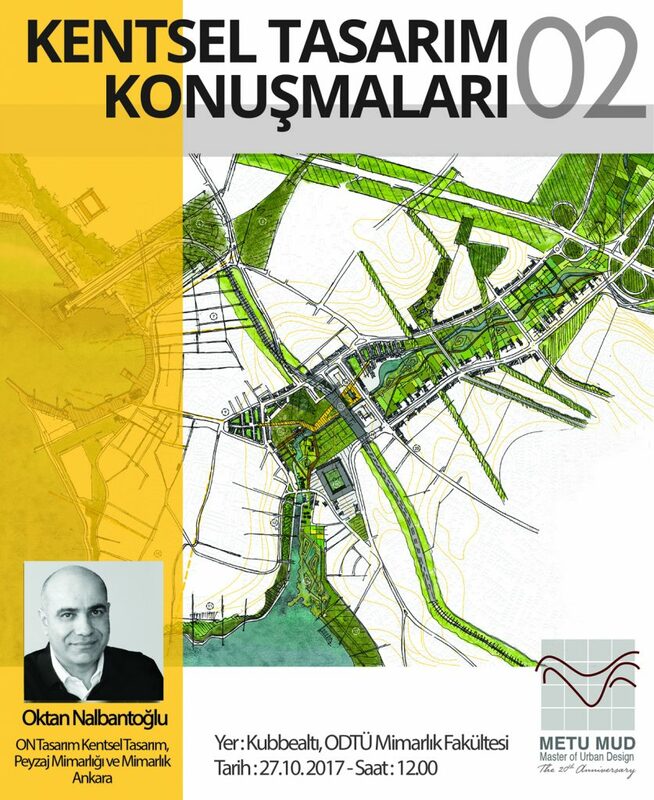 At the third meeting of METU MUD ‘Urban Design Talks’ series, Mehmet Nazım Özer shared his multifaceted professional experience in urban design as a city planner on March 30th, 2019 at Kubbealtı Hall, METU Faculty of Architecture. 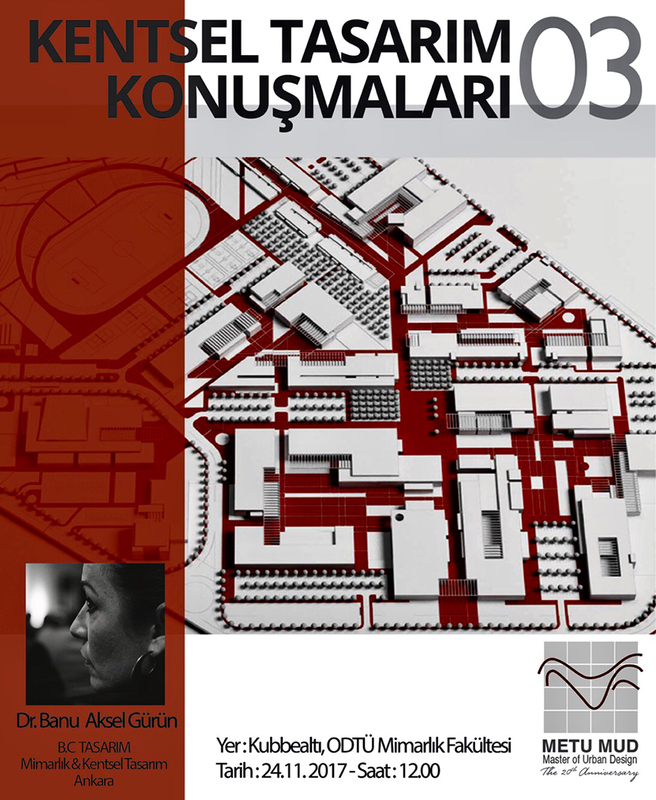 At the third meeting of METU MUD ‘Urban Design Talks’ series, Dr. Banu Aksel Gürün shared her professional experience with us on November 24th, 2017 (12.00 pm) at Kubbealtı Hall, METU Faculty of Architecture. 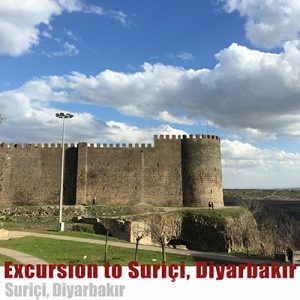 (talk will be held in Turkish). 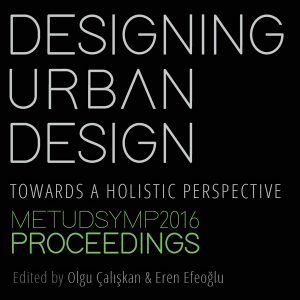 METU MUD organizes a series of talks with the young generation of designers to grasp the current state of art in urban design in Turkey. 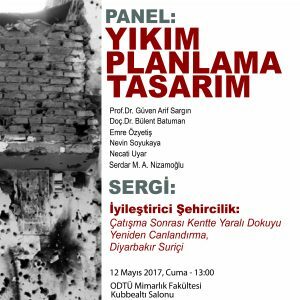 To that aim, Dr. Zeynep Eraydın (PROMIM) presents her works in office on April 7, 2017 (12.30 pm) at METU Faculty of Architecture. elements, while providing necessary inputs to different designers to help them design under a common language within the framework of larger pieces of urban land the development of which is spread over time. 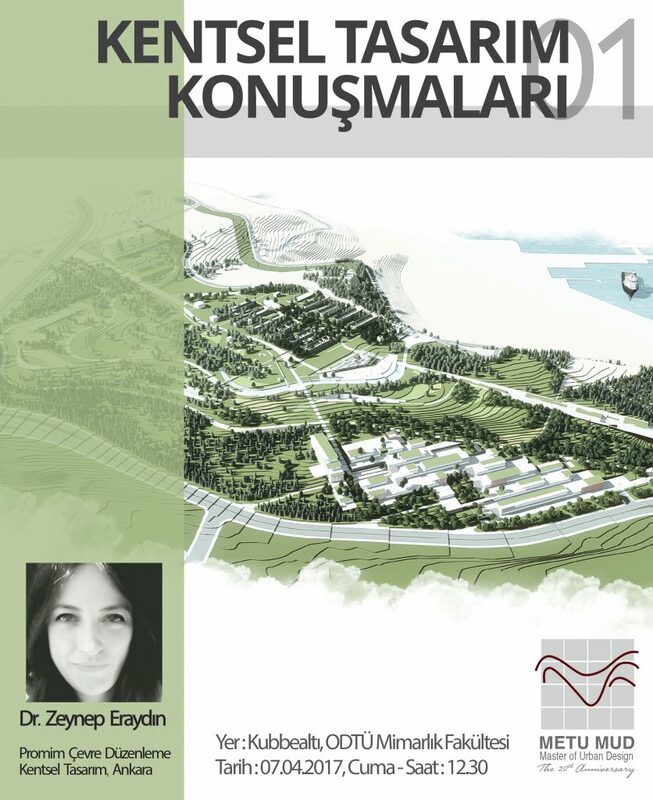 The Graduate Program in Urban design aims at educating students who have a background in city planning, architecture and other related disciplines and who are interested in the subject. 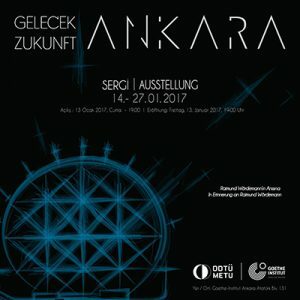 The main objectives of the program are to develop the theoretical frameworks which will generate those structures related to form, identity and action at all scales of the city; develop new design languages and techniques; and equip those interested professionals of related fields with the skills and knowledge about the use of administrative, legal and fiscal tools with reference to real world situations. 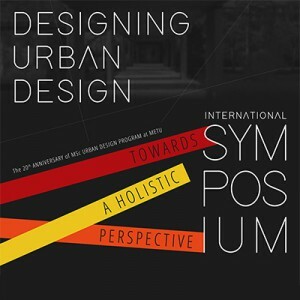 Urban Design Graduate Program is completed in four semesters (two years). In the first two semesters, applied and theoretical courses are offered. In the following two semesters, it is expected from the student to work on a master’s thesis under the supervision of his/her thesis advisor.